The 1975 Flint Southwestern Men’s Track Team won 1st in City, 1st in Valley, 1st in Regionals, 1st in State and 1st at Central Michigan Relays. Notable standouts include GFAASHOF individual inductees Booker Moore, Rodney Feaster and Carl Word. Booker Moore went on to play football for Penn State and the Buffalo Bills. Rodney Feaster went on to play football for the University of Michigan and became a successful dentist in the Flint Area. Other team members include Dave Pappas, Ramond Rosario, Frank McNed, Lawrence Younger, Craig Johnson, Michael Robinson, Larry Younger, Donald Dicks, Tom Johnson, Jim Brewer, John Harvey, Norman Moore, Carlyle Richardson, Willie Turner, Marvin Turner, Dexter Shankle, Beeman Veasley and Rick Nash. 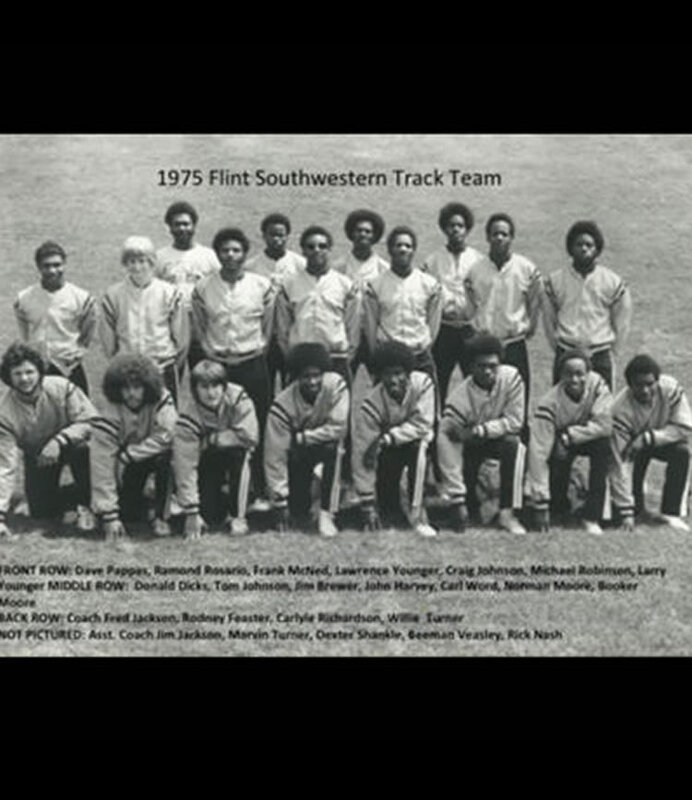 The 1975 Flint Southwestern Men’s Track Team placed 1st in State beating out runner up Flint Northwestern. Flint Southwestern 1975 Men’s Track Team you are the true definition of being “Flint Strong”! You have made Flint proud, welcome to the Greater Flint African-American Sports Hall of Fame!